Mad Dash....Christmas season is here! My last thoughts were on Veteran's day when I gloriously had the day to create nonstop. A full 8 hours of nonsensical color combining and wire wrapping. I made a bunch of ornaments that day and I'm in love with most of them. Ok here come my excuses or singularly excuse....we caught the flu. Started with the baby, then two days later R caught it. 24 hours later C caught it. Then 24hrs after that I caught everything except the stomach flu. Sore throat, cough, fever, congestion, more congestion, and a sore tooth which then turned into a failed filling which has been repaired but debatable if the soreness is fixed or not. Anyway there's my November. And now it is Christmas season. 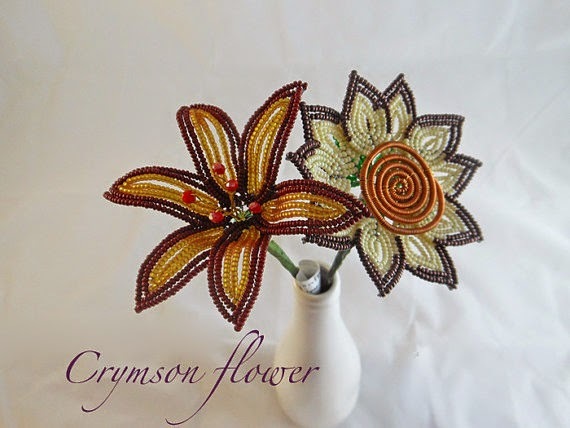 I have photos of all my new and amazing beaded Christmas ornaments. If you follow me on Facebook you know that I've been slowly adding new ornaments and the occasional flower to the shop. I plan to keep this up throughout the weekend. My goal is to have everything Christmasy in the shop by Monday. I hope you are enjoying the new designs as much as I am. I'll try and put a post up here now and again too. I have exciting new ideas that I was to start playing with once the shop is up to date. And I'm hoping to get my applications to a few art shows in this year. Today I took over part of our basement and set up my studio. I'm leaving it up for a week and seeing how much I can create. I'm focusing on ornaments/pendants. I want to go heavy on the wire. I'm finding this freeform wire work wonderful and scarey at the same time. I can't pick up a piece of wire and predict where it will go. It's slightly unnerving b/c I'm used to being about to control the outcome of a piece. So far I'm pretty happy with my results. I had requests for purple and red ornaments. The one on the left is a bright purple petal that's super sparkly. The middle red one is my new favorite. I love the weaving effects. My plan is to spend this next week creating what I can. 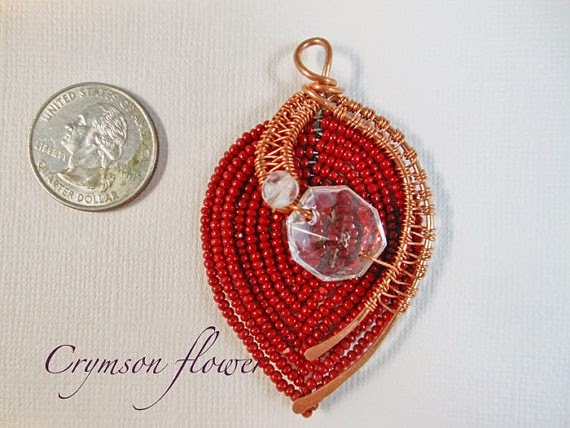 Focusing on ornaments and wire work. Nothing I'm posting here and on FB are on Etsy yet. I'll focus on Etsy next but that will be a slower process. So if you see something you want message me directly. A chunk of time is presenting itself to me. A day. A day with no day job and the kid's daycare is open. And then next weekend C is taking R to Chicago so it'll just be N and me. Which means I have time. Time to bead or more likely weave some wire. I plan to go all out this week and transform part of my basement into a studio. Bust out the hammers, anvils, and possibly the torch. Right now my plan is to make a bunch of Christmas ornaments. 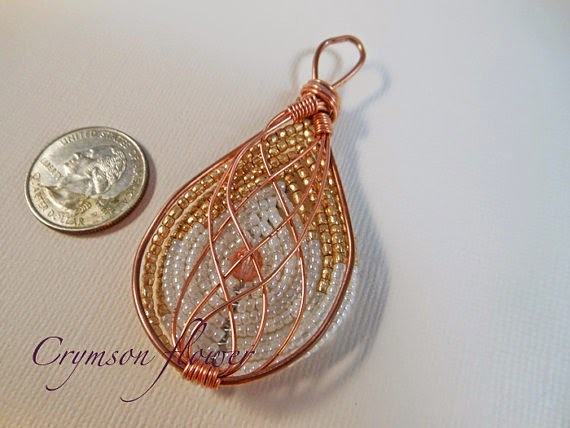 I want to practice weaving wire and wrapping free form. Ornaments are fast to make and gives me the opportunity to try different techniques several times.